Today I’m wearing Genie in This Bottle by Misa. This one is from Misa’s Wishes collection, and I would describe it as a gray toned lavender shimmer. I think it’s super pretty! 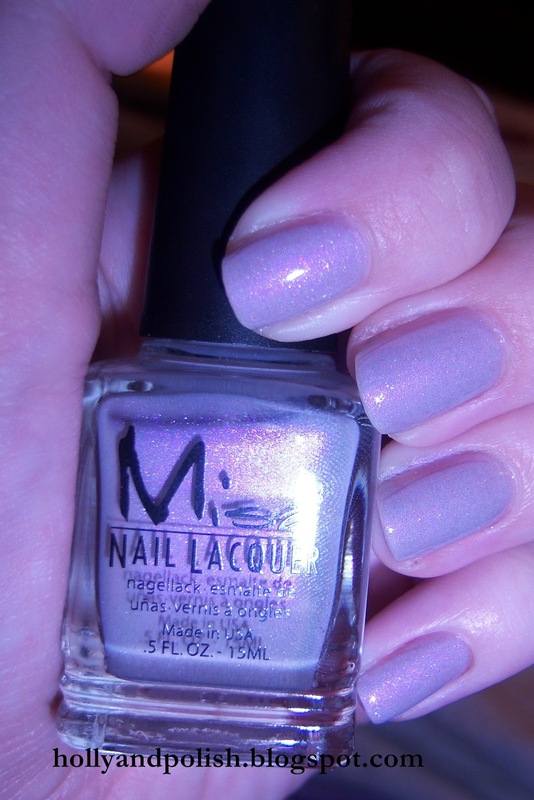 (Lavender is my favorite color though, so I definitely tend to favor polishes this color) The formula for this one was great. It was actually pretty thick, but super easy to work with. I only needed to use two coats for full opacity.